Head Lice Checklist: Have You Taken The Right Steps? Take care to read through our head lice checklist. Properly walking through each step is the only way to thoroughly eliminate head lice from your home and your life. Remember, the Centers for Disease Control and Prevention tell us that this year up to 12 million school-age children will contract head lice in the United States. That means that adults, elderly and teenagers living with these small children are also at a great risk for infection. Screen Every Member of Your Household. Lice Clinics of America offer head lice screenings at your local clinic. These can provide you with an expert opinion on who has head lice and how bad the situation is. Remember, pets do not transfer head lice. Head lice can only effectively be killed if the active lice AND their nits, or eggs, are killed. Many over the counter shampoos and products do not accomplish this. Lice Clinics of America have several excellent options available to thoroughly kill head lice AND their nits. In clinic treatments are provided that can dehydrate the head lice and eggs in a single process. At home kits are also available that provide everything you need to be successful at killing head lice at home. 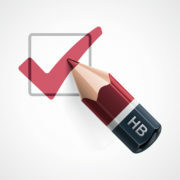 The best part, we also offer expert advice. Our staff can help you determine which option is best for you and how to proceed. Deep Clean All Hair Items. Anything such as hair brushes, hair combs, hair towels, hair picks, hair clips or ties need to be thoroughly disinfected. There is no need to throw items away. Soaking them in bleach water for 30 minutes, rinsing them and drying them will be enough to kill any traces of head lice. Don’t forget items that are in purses, backpacks or lockers. These could also be infected. Deep Clean Bedding and Clothing. If your child has head lice anything that has come into close contact with their head or scalp could be harboring head lice or eggs. This is an easy way for them to become reinfected. Place any backpacks, winter coats, hats, bedding, pillows or other items in the washer. Wash in warm water. If not able to wash, place items in the dryer on a high heat setting for 30 minutes. Still not convinced? Place items in a plastic bag and seal up tightly for a few days to ensure all active lice and nits are suffocated. Head lice cannot survive for over 48 hours once they have left the comfort of their human host. Even places that you may not think about such as area rugs, recliners, sofas, bean bags, etc could have traces of head lice. Get out your vacuum and get to work! Items such as leather sofas or car seats could be wiped down with a wet rag to dust away any traces of head lice. Stay Vigilant About Checking Scalps. The next few weeks it will be extremely important for you to continue to check for symptoms or signs of head lice. Staying on top of the problem is half the battle! Parents all over the country are learning the hard way that, YES! Head lice are an extremely common problem. 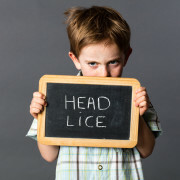 In the event that your child contracts head lice, a million questions can run through your mind. How common is head lice? How did they get it? Who is at risk for catching it? Lice Clinics of America wants to help you through this challenge any way that we can. -Head lice are considered extremely common. The exact number of head lice cases cannot be known for sure, but the Centers for Disease Control and Prevention estimates that up to 12 million children between the ages of 3 to 11 will contract head lice each year in the United States. That makes it a pretty common problem among elementary schools, daycares, church groups or anywhere that children dwell. – Head lice are listed as one of the top three reasons children miss school. No-nit policies are changing across the country as schools begin to understand how head lice are transferred and the risks that nits actually pose. Check with your local district to make sure your child is not missing school unnecessarily. –High Schools and Jr. Highs are reporting higher numbers of head lice outbreaks as well. Some experts think this could be because selfies are causing kids to come into closer proximity to one another more often. Others believe handheld electronic devices such as Ipads, cell phones or gaming devices are making kids spend more time sitting closely with their heads pressed together trying to view a small screen. Regardless, teens and preteens are showing more and more cases of head lice, so don’t think they are immune. –Super lice are creating situations where parents do not know how to get rid of head lice. Over the counter treatments and home remedies are not working. This is causing the spreading of head lice to be more and more common as the problem is not alleviated in ways that it was in the past. 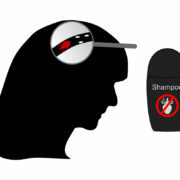 -Head lice are NOT considered dangerous but definitely considered an annoyance. They are not a public health risk. -The most common way head lice are transferred is through direct head to head contact. Due to this fact, people living in the same household are also at risk of contracting head lice. Having every member of the family screened for head lice is a must in order to really tackle the problem. –Pets do not carry head lice. Therefore, they do not have anything to do with the catching or spreading of head lice. -Head lice will die after 48 hours if they lose their human host. Clean couches, bedding, clothing or anything that can be harboring head lice or nits to ensure they are not passed on. –Back to school time, summer camp sessions, spring break vacations, and winter breaks are all times we see significant spikes in head lice outbreaks. Other scenarios also present a high risk for infection such as playing on a sports team, sleepovers, attending daycares, etc. –Do NOT panic! Lice Clinics of America is your best source for solutions to your head lice problem. Call our clinic today to schedule a visit! As head lice are becoming a more difficult problem to eliminate all across the country you may have heard a new term that you aren’t familiar with. A lice clinic is a place you can go to seek professional advice and treatments that work immediately in eliminating your head lice problem. We can offer a diagnosis, affordable and reliable solutions for your specific problem, and give you peace of mind that we back our treatments with a guarantee that your head lice problem will be eliminated. Head lice have been developing immunities to over the counter shampoos and treatments over the years. This has left many parents at their wit’s end trying to deal with head lice on their own. Home treatments that require weeks of applications and home remedies that offer no real solutions are a thing of the past! Lice Clinics of America are your professional, affordable and stress-free solution for dealing with head lice. Lice Clinics of various names and treatments are popping up all over the world in places like Australia, England, Spain, Denmark and the United States. This is because people are starting to turn to lice clinics to deal with the stress of head lice. How is Lice Clinics of America different? Lice Clinics of America offer our clients a revolutionary, state of the art head lice treatment that is guaranteed to leave you head lice free in a single treatment. The AirAllé® system is an FDA cleared medical device that uses modern technology to dehydrate head lice AND their eggs in a 90 minutes process that will leave you head lice free. 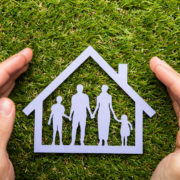 Our knowledgeable staff can help you determine the extent of your specific problem and which treatment solution will be most affordable and effective for your families needs. We understand that each situation, each head of hair and scenario is unique and needs to be treated specifically to your needs. We will listen to your concerns, eliminate your fears and help you understand the best way to solve your head lice problem. One of the best parts of our job is the passion we feel about helping people. We are not passionate about head lice, but about helping families to eliminate the headache of head lice from their lives. We have helped thousands of people, just like you to become head lice free. We offer an environment where you can feel at peace, knowing you are not alone. We know that anyone can catch head lice and no one will make you feel embarrassed or ashamed to be dealing with this common problem. We will work discreetly and quickly to help you end your head lice problem in the most affordable and viable way for your family.